I love following brand M&M’s. It has to be one of the most prolific brands around…constantly giving us fun new marketing and constantly giving us fun new products. They’ll be out in April, but New Yorkers can get a sneak peek taste in Grand Central Station this week. Might be worth a stop! 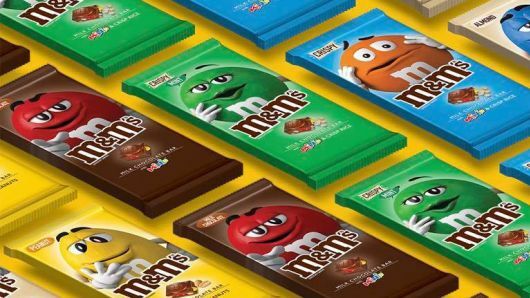 M&M’s also recently launched chocolate bars. Hmmm. This is a frequent topic in my NYU marketing class…how to extend a brand. Do brands that are so well known for one thing have permission to do another? 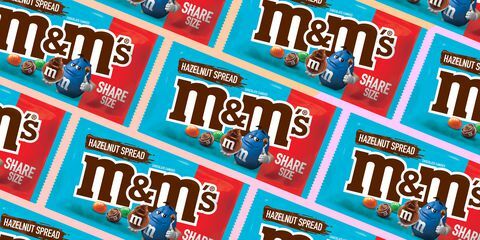 M&M’s bringing out chocolate bars is a great extension, but is it still within brand? Can those fun little candies suddenly become a candy bar? Hmmm. Well I did a little digging and I dare say “yes.” The bar is sprinkled with M&M’s within it, and in fact the company diligently made sure that there’s the perfect ratio of chocolate to M&M’s Minis. It’s also shareable. And you just gotta love the packaging. Check and check and check..